This sure came as a surprise. As Houston ISD officials wrestle with how to fill a $115 million budget shortfall, stave off a potential state takeover and work to recover after Hurricane Harvey, Superintendent Richard Carranza announced Monday he would leave the district after less than two years on the job, accepting an offer to lead New York City’s school system. Carranza appeared Monday afternoon at a press conference with New York City Mayor Bill De Blasio. 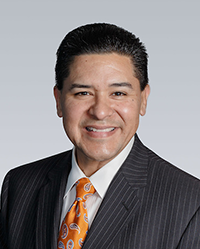 Carranza’s status with Houston ISD was not immediately available. De Blasio said those details are being worked out, but the outgoing chancellor is expected to remain on board until the end of March. At a press conference announcing his appointment Monday afternoon, Carranza said the chance to take over the nation’s largest school district and alignment with De Blasio’s agenda were primary factors in accepting the job. Houston ISD board members are expected to meet Thursday to discuss the district’s next steps. Carranza’s departure leaves Texas’ largest school district leaderless as it faces consequential challenges. The district faces a $115 million budget shortfall and potential state takeover due to poor academic performances at a handful of the district’s more than 280 campuses. I think it’s fair to say nobody saw this coming. It’s a little hard to judge Carranza’s tenure in office because he wasn’t here for that long, and there’s a lot of unfinished business that will need to be taken up by his successor. You can’t blame him for taking the opportunity, but the timing isn’t great for HISD. We’re going to need to find a new Super quickly, and that person will have a full to-do list when he or she arrives. Will the Board look for someone who will be gung ho about implementing the proposals Carranza laid out, or will they seek a different direction? Or will they just try to hire the best person they can get and let that person figure it out? A challenging and tumultuous year at HISD just got more so. I wish the Board all the best with the task they now have before them. HISD’s news story is here, and the Press has more. Maybe HISD should just hire from within, hire somebody that has been on the ground, in the district, for decades and knows the issues first hand. Anyone with a couple decades at HISD has seen a steady stream of wunderkinds come and go, and has seen what works and what doesn’t. Hiring from outside is a slap in the face to the folks at HISD. @Bill… or maybe, bring in someone fresh from outside, someone not tainted by decades of subpar performance who may have well been complicit in the perpetuation of the status quo, someone who has at their disposal a different set of viewpoints and approaches to resolve the problem(s). C.L. : Here’s my selection. She’s qualified, available, competent, and has a history of good results with poor kids. I nominate Bertie Simmons, the principal of Furr High School that HISD let go because of political correctness. @Bill… I don’t want an 83-year old woman running anything. Can somebody please wake up RBG and let her know this? if houston needs me to do the job just let me know. I’ve only been correcting politicians while ceo’s and congressional candidates ask me for ideas. @Bill… RBG isn’t running anything on the scale of what HISD’s responsibility are. She’s on the SC because of her legal mind I suspect, not because she’s particularly adept at running a business with 29K employees with a $1B+ budget. Bertie Simmons is out because she purportedly threatened students with a baseball bat. I personally doubt either RBG or B. Simmons could really swing a baseball with much force..
@Joseph… I’d be interested in hearing more of the CEOs and Congressional Candidates who contacted you for advice and/or ideas. Bertie is out because the administration would rather pander to the lowest common denominator than do what is best for their students. The “bat threat” pretext is proof of this. Bertie ran a rough school, complete with gang kids. Apparently, “don’t make me get my bat” was a running joke, and if you think that anyone was really intimidated by short, diminutive octogenarian cracking a joke about a bat, well, bless their hearts. She wanted uniforms, to combat the “gang colors” nonsense being promulgated on campus by the future leaders of society. She was unwilling to cede control of the school to thugs and juvenile delinquents, and for that, she got fired. I stand by my support for her as the new superintendent. @Bill… It’s 2018, not 1968. “Don’t make me get my bat” may have been an acceptable threat then, but it ain’t now. That kind of behavior is now met with kids showing up at schools with AR15s…with flash ‘hiders’. Replacing what is proven to work with progressive ideas is great…..until the new plan doesn’t work. You, in a roundabout way mentioned the FL shooter. Were it not for the progressive “Promise” program, that kid would have had a fairly long police record, which would have precluded him from purchasing a gun. Alas, in their quest to make it appear that non white kids are more law abiding, they created the atmosphere for a whacked out white kid to shoot up a school. Irony alert. Bertie’s leadership was proven to work. I’ll take 1968, please. At least the kids could read back then. Edit: Once again, flash hiders is acceptable vernacular. Check out Brownells or other gun selling web sites and check it out if you don’t believe me, C.L. @Bill…. yep, in 1968 kids could read – at least the white kids, anyway. The blacks kids, like the ones who were force-bused to my Catholic school in Ferguson, Mo., a couple blocks from the Michael Brown shooting a couple years ago, weren’t benefiting a whole lot from the local public school system.